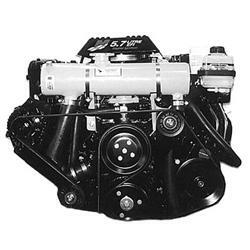 This is a 1/2 cooling system for 1999 - 2001 Mercruiser 4.3/5.0/5.7 EFI Sterndrive engine models. These engines are equipped with the serpentine belt drive system and have the alternator located high on the STBD side of the engine. This kit comes complete with thermostat, brackets, hoses, and instructions.